Inspired by the powerful impact Special Olympics had on his life through his participation in the Law Enforcement Torch Run®, combined with his family’s involvement with the trucking industry, Norm Schneiderhan, a Corporal with the Orange County Sheriff’s Department, created the Truck Convoy, a celebration of the trucking industry to help raise awareness and funds for Special Olympics. 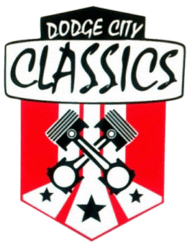 From that single event held in Orlando, FL in 2001, where 97 trucks raised $17,000, the Truck Convoy has expanded dramatically over the years raising millions of dollars for Special Olympics in 26 U.S. states and 2 Canadian provinces raising over a million dollars for Special Olympics! 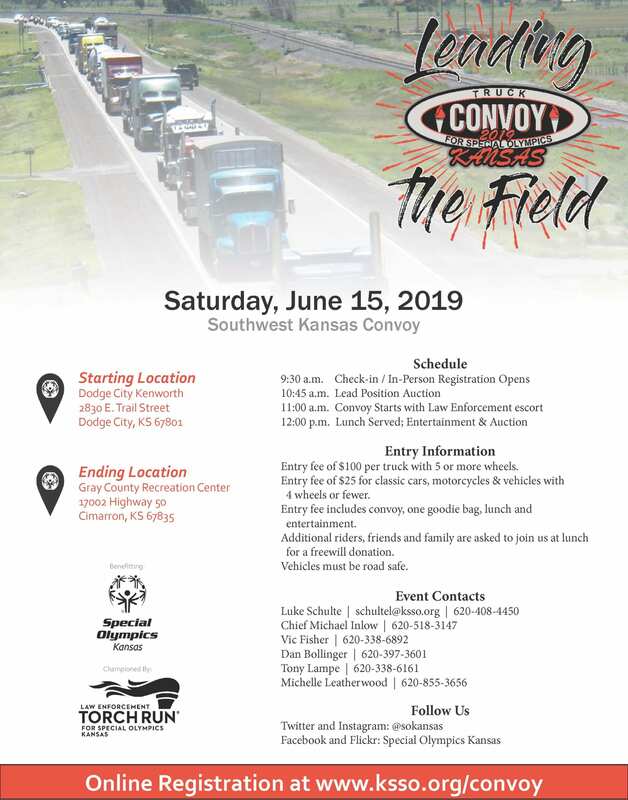 Truck owners and drivers must register to join the convoys which parade through local towns and end their journey at a local venue for lunch and awards. A valid driver’s license and proof of insurance are required to participate and walk up registrations are welcome. 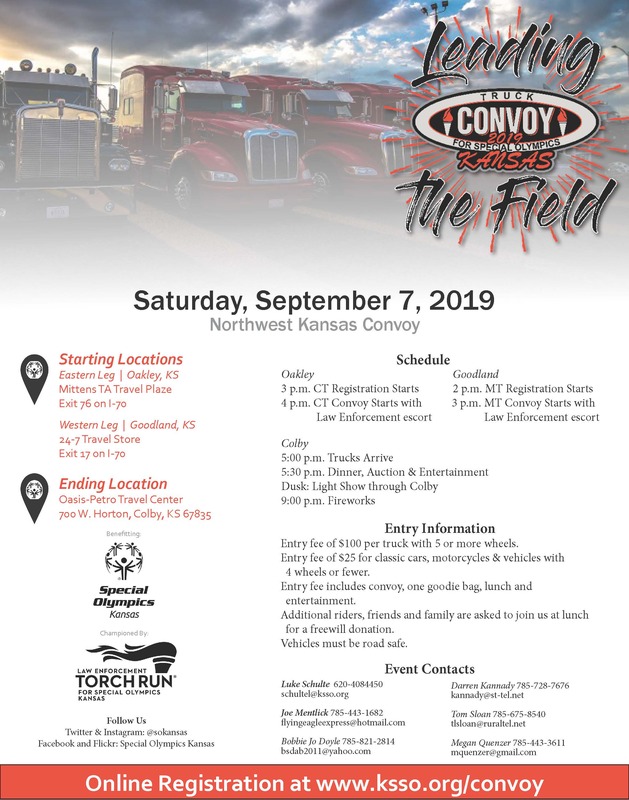 To register, download the waiver, complete and mail to SOKS, 5280 Foxridge Drive, Mission, KS 66202 or contact one of the event coordinators listed in the brochures. 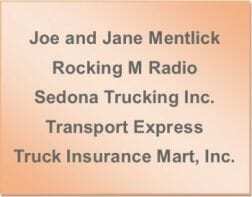 Western Kansas communities, Law Enforcement and our trucking friends – You Rock – Thank YOU! Thanks to all our committees for their planning and dedication, especially Joe & Jane Mentlick, Michelle Leatherwood and Vic Fisher.